Wig Styling Services at Our Wig Store in Chicago - Custom Wigs for Every Occasion. We stock 10,000 + pieces of human hair, wigs, wiglets, 3/4 caps and more! Don’t let our name fool you, Fantasy Costumes has been in the business of selling and styling custom wigs for decades. In the late 1960s, owner, George Garcia, began by providing medical wigs to chemo patients, alopecia sufferers and others suffering hair loss. This soon expanded to hairpieces and wigs of all styles, looks and materials. 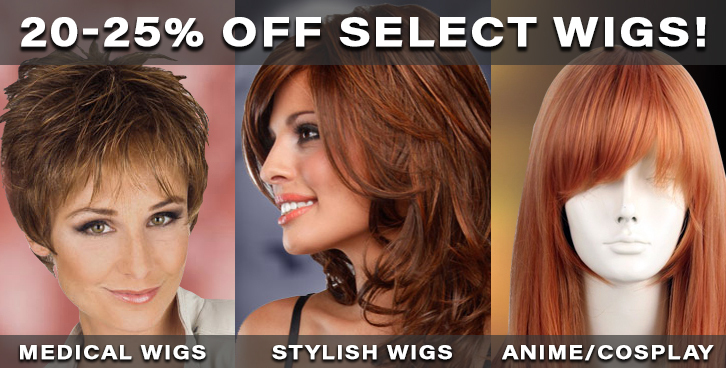 We offer everything from costume wigs to human hair wigs. Browse our online selection of costume wigs or visit our wig showroom in person at 4065 N. Milwaukee Ave, Chicago, IL, 60641. Our wig showroom and styling boutique has more than 10,000 pieces, including hair pieces, wigs, and wig care accessories. Whether you are on the market for a natural-looking wig due to hair loss or for a custom-styled costume wig, our skilled staff of consultants and stylists will ensure your needs are met. Watch our wig stylist in action! Take a look inside our wig store on Milwaukee Ave. We have a large selection of costuming wigs but an even larger stock of realistic wigs for everyday use.